If you have a darker side to your personality, you might be interested in visiting these 5, weird things to do in Paris. They may be a bit morbid but it’s part of Paris’ history. Paris isn’t just about baguettes, cheese and romance after all. Bones bones everywhere. 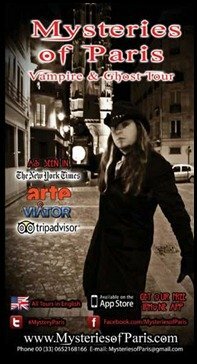 For less than 10 euros, you can visit “The Catacombs of Paris”. An utterly morbid yet strangely fascinating tourist attraction where six million Parisian’s bones are piled high in what seems to be endlessly winding tunnels. Be prepared for confined spaces, lot’s of steps, low hanging ceilings dripping with water and no bathrooms. Don’t let that description detour you. It’s definitely worth a visit if you want to get a different point of view on the history of Paris. Something you will never forget. You might want to leave the kids at home. All the scary skeletons, skulls and dark passageways might be too much for them. Call or check to see their hours and arrive early before the line get’s too long. If they open at 10 a.m., get there at 9 or 9:30 a.m. because the line can get pretty long. I’m talking like an hour or two long. The tour lasts for about 45 minutes. More of a light-hearted ghost tour sprinkled with ghost stories meant to be more funny and entertaining than scary and horrifying. For two and a half to three hours, you’ll follow a tour guide around Paris. Along the way, your guide will make stops and tell you interesting stories, talk about different characters and explain the history. It’s should be ok to bring older kids but probably not appropriate for little ones. About midway through you’ll get a bathroom break and you’ll make a few pit stops to buy some drinks which you can put in plastic cups. Yes, alcohol. Paris’ largest and most famous graveyard and for good reason. According to the official website of the city of Paris; to date, one million people have been buried. What makes it famous is who is buried there. 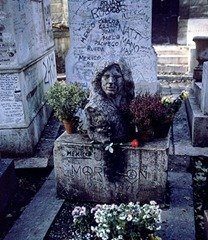 Jim Morrison’s (most famous inhabitant), Oscar Wilde, singer Édith Piaf, Frédéric Chopin the Polish composer and hundreds more famous people that you may or may not have heard of. It’s free to enter just make sure you get a map which you can ONLY get from the front entrance off of metro stops Phillip-Auguste or Pere-Lachaise. Trust me, you will need the map to find all the famous plots. Be prepared to spend hours just walking around and don’t forget to play with all the cemetery cats. MEOW. Ever heard of the Paris sewer system? Located fairly close to the Eiffel Tower, this is an actual working sewer system. Yes, it smells and it sounds disgusting but the self-guided tour through a number of galleries within the sewage system is fascinating. Information posters are provided throughout. If you have ever wondered how sewers work than don’t miss this attraction. Want to eat at an unforgettable restaurant? 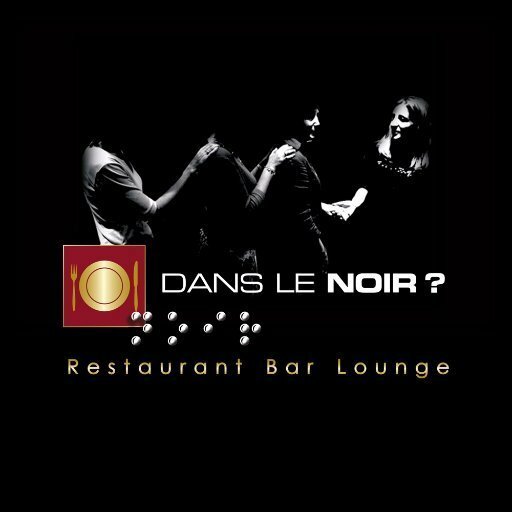 Visit “Dans Le Noir” meaning “In The Dark”. When you arrive, you will be greeted by someone who will seat you and then explain what you are about to experience. Basically, you will eat an amazing meal in complete darkness and you will be served a surprise menu by the blind wait staff. Don’t worry, the staff is extremely helpful, kind and speak English. They’ll also ask you in advance if you have any food aversions or allergies. The meals are all gourmet quality. No eyeballs or chicken beaks served here. If you’ve never experienced an attraction in the dark, I highly recommend it. It’s both scary, entertaining and it will open your mind to how it feels to be blind for a day. Go with friends, it’s so much fun. Do you know of any scary or weird attractions anywhere? Leave your comments below. And please share this on facebook. It helps me build traffic which helps me provide free content to YOU.